Why can't my bank balance be unlimited and the storage space never ending? It's probably best that neither of things come to fruition any time soon, I most definitely don't have the space for any more clothes (Self, set a reminder to set up a blog sale to make more space for new stuff!) and if my bank balance had a face I'm sure it would be throwing me some seriously evil glances every time I use my card! 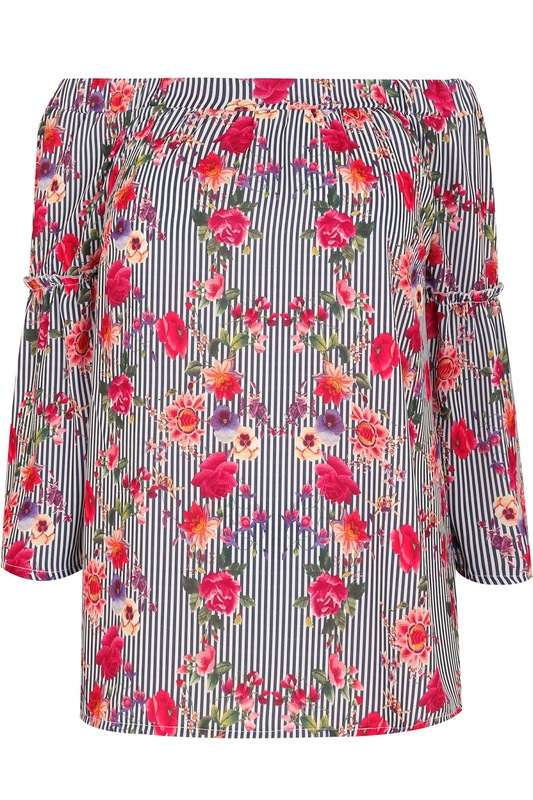 I have been quite partial to a bardot this summer and this Limited Collection stripe and multi floral print top from Yours Clothing has caught my eye. I envision wearing this with a pair of skinny jeans and some comfy wedges, cross body bag and a cute choker for a weekend look which could carry from day to night easily. I'm a sucker for a pretty dress so this skater dress is deffo getting thrown in the basket. As you know I'm not particularly a fan of a cold shoulder but this dress is super cute. 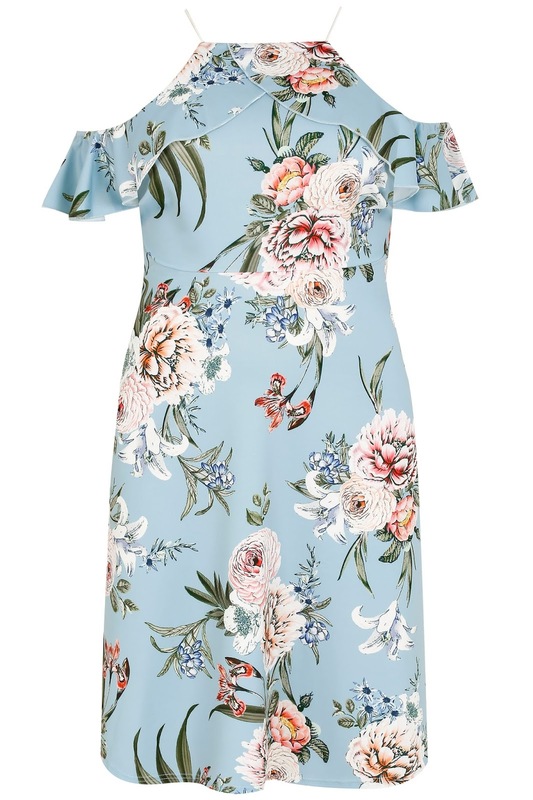 I adore the floral print against the pale blue it's got a very spring/summer vibe and that's just what I am looking for to brighten these dreary summer days! The last item that I am loving right now is this pair of distressed slashed joggers. Yours have some lovely bits out now and coming soon - why not check out their New In section and do a little shop of your own? ?